Parks in Northeastern Vermont used to sell these gigantic bags of 'kindling' comprised of small, square blocks that were leftover pieces from furniture making. These bags were sold to campers and kept in large 'kindling cages'. While they were a nice idea, they really didn't work very well starting campfires so we stopped using them and went to selling easier to manage 'fire starters' instead. Once we made the switch, there was no longer a need for the old kindling cages. 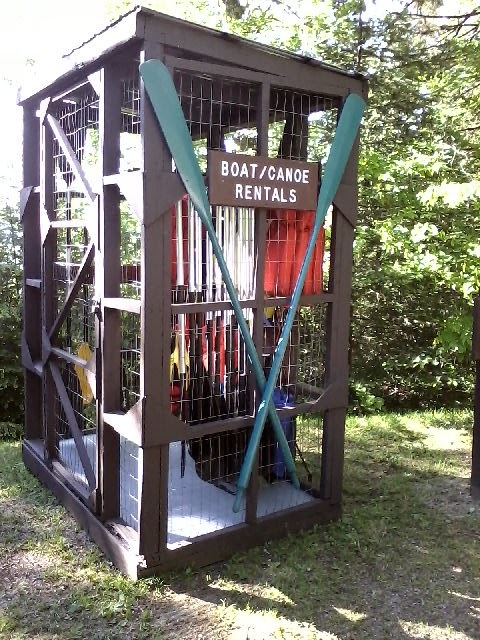 So, with old fashioned Yankee thrift and a contemporary mind towards recycling, the clever staff at Maidstone State Park came up with these fun ideas for re-purposing the cages. The East Barn on the former Preston-Lefreniere property in Bolton was recently moved 60 feet north from where it sat on Duxbury Road. The property, which includes the Preston-Lefreniere house and two additional barns, is owned by the Department of Forests, Parks and Recreation (FPR), and part of Camels Hump State Park. The East Barn is estimated to have been built in the early 1800s in the style of 19th century English barns, and is featured on the Bolton town seal. Five generations of the Preston family lived and worked on the farm, beginning in the 1790s. It is believed that its close proximity to the road, coupled with age, led to the barn’s deterioration. On October 29th, the building was moved onto a new foundation, rotten beams were repaired, and new sills were added. FPR decided to move the barn in order to stabilize and preserve the historical structure for future use. Stabilization efforts will continue through November. The Venture Vermont Outdoor Challenge wrapped up a few weeks ago and we have just finished reviewing the over 275 entries we received! The program, which encourages individuals and families to get outside, visit Vermont state parks, and participate in different activities, kicked off on April 1 and ran through October 15. Participants earned points by completing outdoor activities like hiking new trails or eating a picnic in a state park, and taking photos along the way. 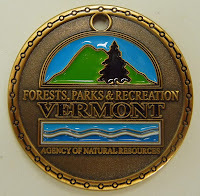 When they reached 250 points, they were eligible to receive a Vermont State Parks VIP gold medal coin and free day use in the parks for the rest of the current season and the following year. Heidi McCarthy from Ferrisburg made a nature journal with awesome illustrations of landscapes and plants!